Midnight's Fire is Aaron Chord. The early history of his life and that of his sister Silhouette was told in flashbacks in the 1990 New Warriors series. In that series MF was part of the Folding Circle group of Tai's 'grandchildren' who tried to access the Wellspring Of Power in Cambodia but ended up destroying it in NW#25. The existence of other portals to the Wellspring was revealed in Thunderbolts #102. Baron Zemo tried to gain control of them, but all these portals were destroyed in #108. Ironheart is having a VR sparring session in her mom's basement when she gets a call from the Dean of MIT asking where she is. He's in her lab with another load of donors and trustees who want to see the college's prize pupil. She gives him a garbled excuse and cuts him off. Mrs. Williams was listening and wants to know why her daughter is slumming here instead of her state-of-the-art MIT lab. Riri Williams says she doesn't like having strings attached. Ronnie Williams sympathises. She reminds her that her stepfather believed in being his own boss, and always owning what he had outright, so he never owed anybody anything. We are reminded that Riri's father died before she was born. [I don't know if this is leading up to a question of who exactly he was?] As she leaves Mrs W tells Riri her friend Daija is out of hospital now. Riri's response is conflicted (because Daija lied last issue when she said she *hadn't* been kidnapped by the gang Ironheart is hunting). When Ronnie has gone Midnight's Fire steps out of the shadows. 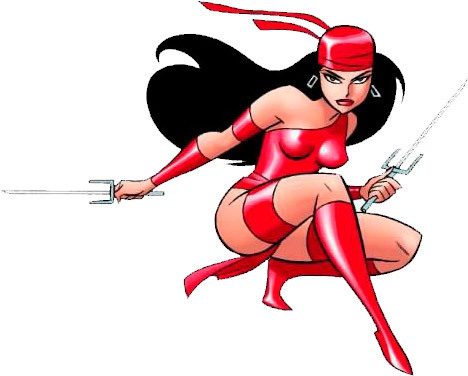 Riri was expecting him to track her down because her identity isn't a secret, and continue his attempts to kill her. But 1st she wants to talk about the Ten Rings token (that Clash gave her in #1). She's noticed that he has 1 of its symbols on his chest. All she can find about that organisation online is a myth with no substance. MF says they're very good at covering their tracks. He then tells Riri his backstory. His father was with a troop of US soldiers in Cambodia when they found a temple ruled by his grandmother Tai. Tai promised them wealth and power if they married her 6 acolytes and gave her their children. 1 of the acolytes was Tai's daughter who became the mother of twins, 1 of whom was MF. But his mother didn't want Tai to have them so she gave them away (with some money) to a poor family. MF grew up with abilities which he used to become leader of a street gang. As he honed his talents he became a mercenary. But he intended to eventually go after the greater power that Tai had promised, from the Wellspring Of Power. Tai's portal to this was destroyed, along with supposedly all the others on Earth. But MF believed there was another 1, and he broke into Dr Strange's Sanctum to get information about them all. But he still doesn't know where it is. ... but Riri rejects him angrily. 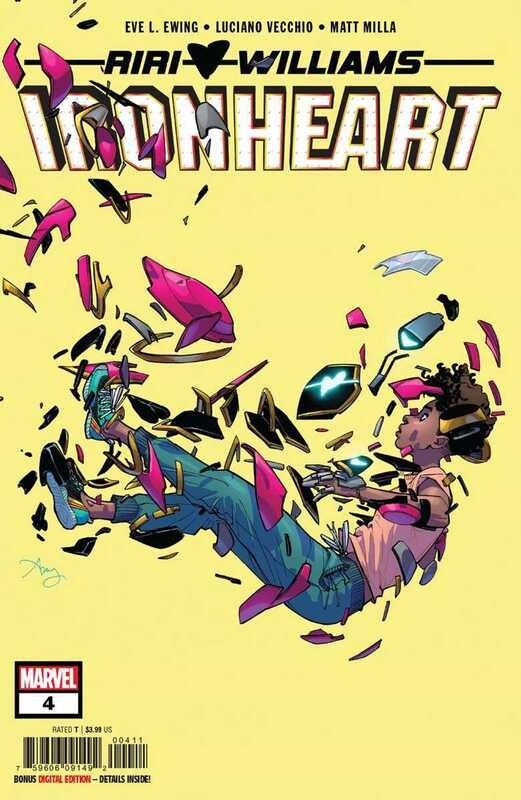 So they fight again, and Ironheart uses the power of her armour and its NATALIE AI to try to force him to tell her everything about the Ten Rings and his own plans (involving the kid gang in previous issues). However he's too experienced and soon has her helmet open and a sai in her face. But he won't kill her because he believes she *will* come to see things his way. Instead he sends her to sleep and leaves. Layouts: Geoffo. Letterer: Clayton Cowles. Ironheart, Midnight's Fire, Mrs. Williams, Natalie AI.